Winter Community Supported Agriculture shares are increasingly popular with young farmers who are pushing the boundaries of four-season agriculture. About nine years ago, Tom Harms noticed some long faces in October. 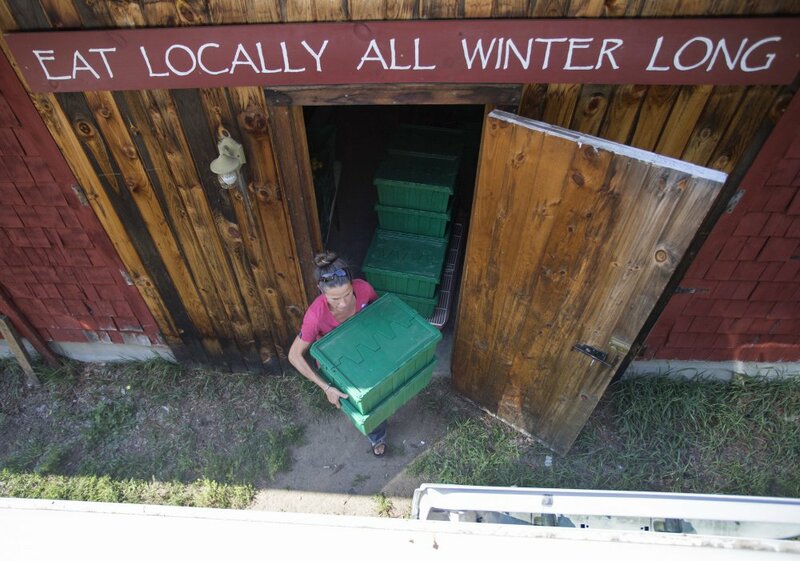 His family farm, Wolf Pine Farm in Alfred, was wrapping up its summer CSA and customers were picking up the last boxes they’d been receiving all season as part of the farms Community Supported Agriculture shares. “They were all sad, like, ‘Now you are going to make us go back to the supermarket until next June?’ ” Harms said. That’s when Harms and his wife and farming partner Amy Sprague decided to venture into the world of winter CSAs as a means of keeping customers year-round. The Maine Organic Farmers and Gardeners Association doesn’t track numbers of winter CSAs, but the practice is increasingly popular with young farmers who are pushing the boundaries of four-season agriculture. But even with more and more fresh produce available in the state year round as farmers employ high tunnel or even heated greenhouse methods to grow in Maine, winter CSAs are not for the faint-hearted. As a farmer, you’ve got to come up with the goods at a time when the world is brown and grey and white. And you don’t get a season “off.” Not that most farmers don’t work year-round anyway, but most get a break from customers when the snow flies. Harms and Sprague haven’t sold their produce at farmers market in years, and though Harms said he misses the socializing somewhat, the year-round CSA is more reliable. “One of the more awesome parts of it is that all of your food is sold and you don’t have to worry about rainy days and busy times and all of the other stressors of the farmers market,” Harms said. The year-round aspect of her CSA never daunted her. “I’m always up for a challenge and the whole concept of it just made so much sense to me,” Agnew said. “Everybody eats root crops all winter, and we were all behind the idea of encouraging people to eat food seasonally and locally.” She set up some satellite pickup locations, including one at her sister’s house in Falmouth, but she also has customers who come to the farm, where she stocks other goodies, like her chevre, meats from Farmers’ Gate or value-added products like gingered carrots. Not every winter CSA works out. At Oyster River Winery, farmer and winemaker Brian Smith started one a couple of years ago that was straight out of a Currier and Ives print: Meats and cheese and bread from local farmers and producers, topped off with wine from Oyster River and delivered by a horse-drawn wagon along an 11-mile route in the Rockland area. But there were logistical issues, including the complications of liquor laws that kept other members of his alliance from helping with deliveries. Smith said he might revisit a CSA in the future, but for now he’s selling wine in his club. A tempting winter months bacon and sausage club run out of Old Crow Ranch in Durham (5 pounds every four weeks for $60) is also on hiatus, said farmer Steve Sinisi, thanks to equipment and labeling issues. He’s focusing instead on sales of whole animals, predominately through area butchers. “Our meat ordering system is really like a modified CSA,” he said. Most winter CSAs have at least a slightly modified approach. Another longtime player in the year-round CSA game, Nezinscot Farm in Turner, uses the term CSA but participants in that “all-diet CSA” program don’t get deliveries. Instead, they pay a lump sum in advance and are invited to shop in Gloria and Gregg Varney’s farm store, where they can get everything from craft supplies to farm cheese, meat and canned goods. In the 20 years Gloria Varney has been running her CSA this way, she has never wanted to shift to a more traditional CSA model. “It’s a lot of work to put together boxes,” she said. And this way, customers can choose to spend only $10 one month and $300 the next, depending on their needs. Then there is Sara Tryzelaar, an herb farmer in Casco who makes skin-care products and tinctures and sells them through her Etsy shop and through a monthly, year-round CSA. Or as she calls it, a CSH, with herbalism standing in for the word agriculture. Tryzelaar is in her seventh year with the CSH and has between five and 30 people in it at any given time. She tailors packages to individual customer needs and to seasons. So in the spring customers get a homemade bug spray, and in the fall, something to help with the arrival of cold season. As Tryzelaar notes, winter CSAs are just starting to become a bigger thing, an area of agriculture growing naturally into a void. “I actually like to focus more on the winter as far as advertising because summers are a little crazy,” she said. 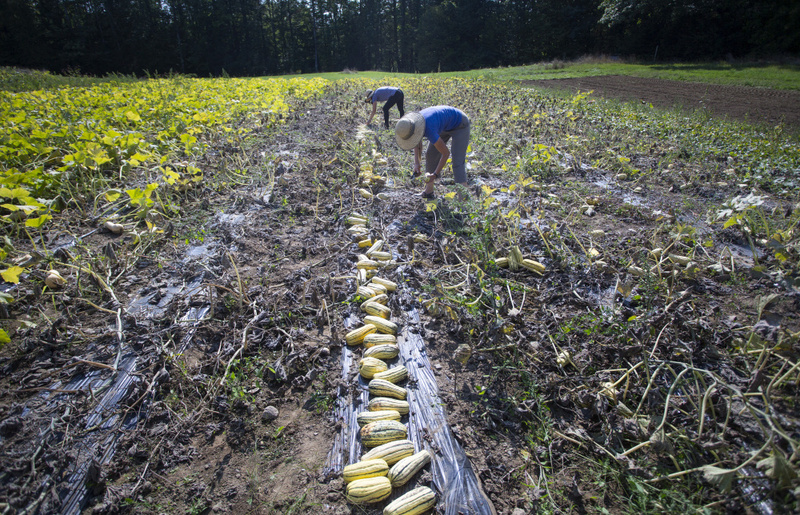 At Wolf Pine Farm, the farmers took a hiatus from summer CSAs for a few years and when they tried to get back in, found the competition stiff. Other farms said they too favor their winter CSAs because the off-season is so much less competitive. 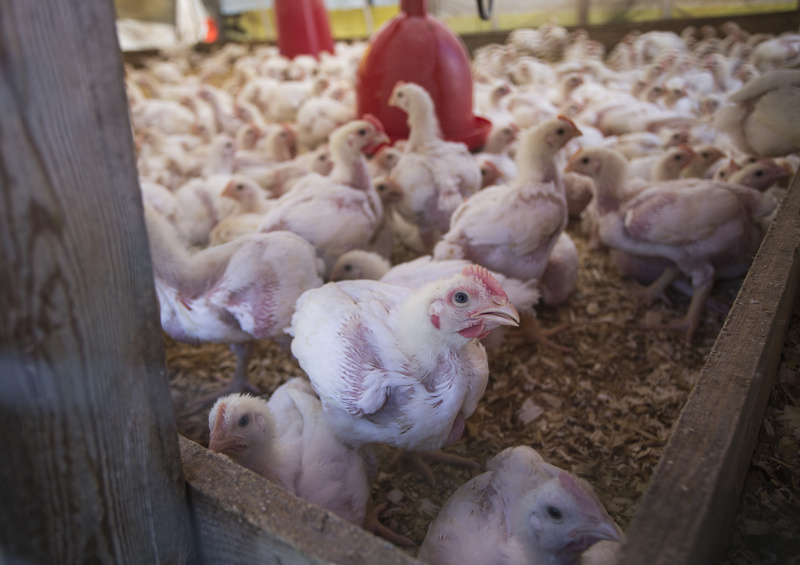 North Branch Farm in Monroe runs a winter share from mid-October to mid-February. They started the winter CSA in 2011 and have about 55 families who sign up regularly (they’re still signing people up for 2017-8018). It made good business sense. “There were over 20 farms in Waldo County doing summer CSAs this year and only three doing winter CSAs,” said farmer Seth Yentes. “Also, I like doing the crops (for a winter CSA). 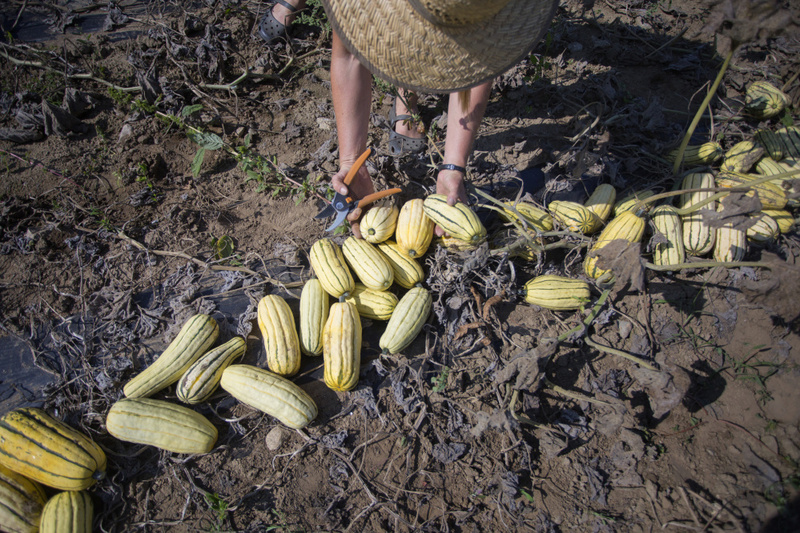 They are high-calorie crops instead of light, pretty things.” Vegetables like buttercup and delicata squashes. The biggest challenges are storage and packing. “Because sometimes things freeze,” Yentes said. The logistics can be brutal, says Harms of Wolf Pine. He might be receiving a pallet of potatoes for the alliance’s CSA at the same time as he’s negotiating processing chickens from his own farm. If that’s the verb, teamwork is the noun for alliances like his at Wolf Pine. 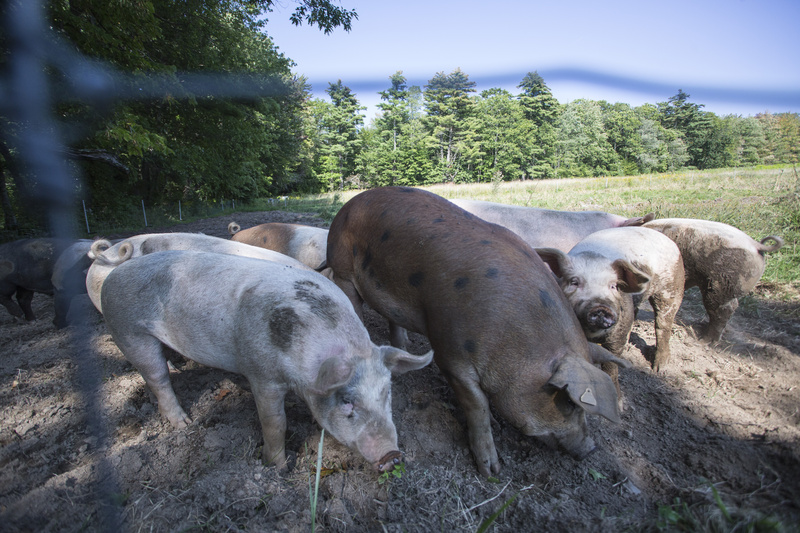 The Foot Hill Farm Alliance is comprised of five farms in Western Maine and just over the border in New Hampshire. All the farmers have connections to Tom Earle of Earle’s Family Farm in Center Conway, New Hampshire, and they all contribute a little something different to the vegetable winter CSAs they’ve been running for about six years. “It’s more about sharing the actual crops,” said Dylan Watters of Old Wells Farm. “Like we don’t really have the land base to grow a lot of potatoes, but other people do. And three or four of us have high tunnels.” Next week, he said, he’ll be pulling out the tomatoes and planting spinach, lettuces and bok choy, all for the alliance’s winter CSA. It takes a lot of planning and balancing among the five farms to pull off a group CSA, he said. But Tom Harms of Wolf Pine might have the champion of fun winter CSA distribution models. They arrange pickups of shares at craft breweries in Portland, Kittery and Lewiston. Just in case anyone needs a case of beer with their box of veg.